The Mirage 48” is the top of the line of the Mirage Series with 10 modules on the front and on the back of the bar, each module has 4 Generation IV 3-Watt LEDs! Include the 2 Gen IV LEDs on each end of the light bar, and that totals 252 Watts of intensely bright, focused light through ultra clear polycarbonate TIR lenses that has a 360° light spread. But that’s not all...the 2 Alley Lights have Generation IV 3-Watt LEDs as well! The multi-purpose sturdy aluminum light bar functions as a take-down light, an alley light, and as a traffic advisor; it even has an amber arrow built in as a standard feature; also standard are the 15 high-intensity, rapid-fire flash patterns. It is permanently mounted to the roof of your SUV or patrol car with the included gutter brackets. The high-tech Controller Unit has an ON/OFF toggle switch for the Take-Down and Alley lights, and 4 electronic traffic directional buttons that move motorists efficiently along their way. The light bar comes with a 13’ power cable to the switch box and 8’ of additional cable for hardwiring to a light or siren system already installed. It is 100% waterproof and sealed with industrial grade epoxy. Choose from 4 solid colors or 6 split-color combinations. The Mirage is just half the width of a standard light bar, but don’t be fooled. It’s high-tech, cutting edge design makes it one of the top light bars on the market, and WHY NOT? 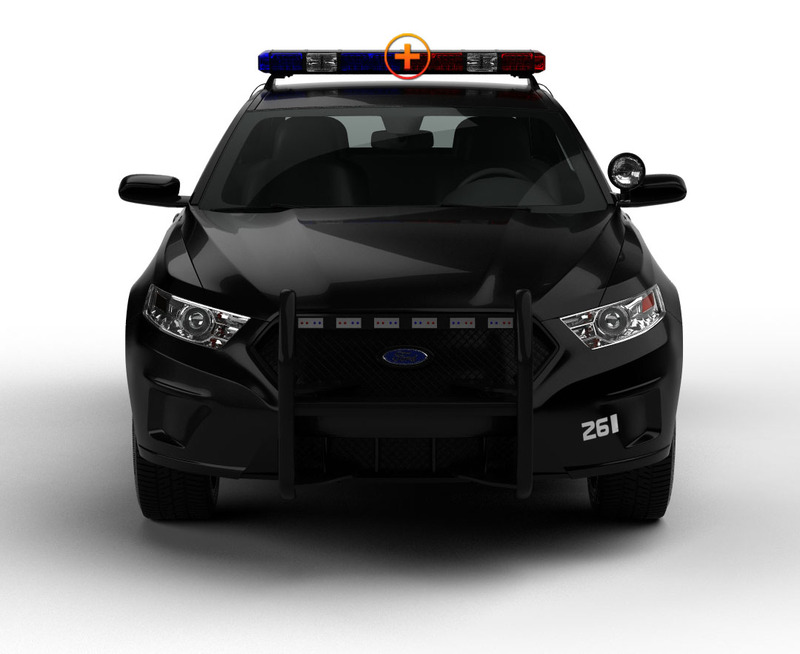 It does everything you want a good light to do: keeps you and your emergency unit well lit and seen from a distance, catches the attention and warns oncoming motorists, and directs them out of harm’s way...and this ONE light bar does does it ALL! Extreme Tactical Dynamics always gives our customers the Very Best Lights for Rock-Bottom Prices. We recently purchased 6 of these light bars for our fleet. 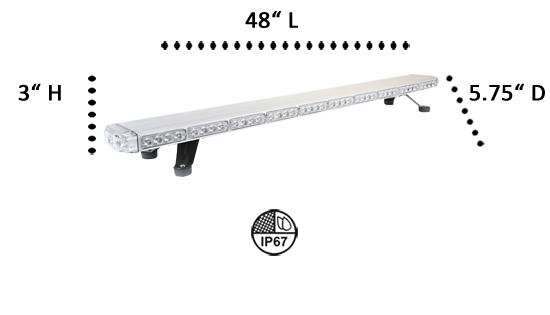 I can not believe we got such a great deal on a light bar that includes direction, alley and takedown lights. This light is amazingly powerful. The mounting was easy and we love the fact that the control box that was included with the unit allows us to see what pattern we are on and if the other included option are on or off. If the current light bars are any indication of what a new, and improved light bar will be, then this one should knock it out of the park. I and my employer, ARK Security Services, Inc. have used lights and accessories from Extreme Tactical Lighting for 2 years, and have never had a breakdown in the equipment. I blame it on quality control and product knowledge. Any questions I have are promptly and intelligently answered, and should there be a delay in filling an order, we are informed immediately. I can't speak about the shipping, because we are local to them and pick up our orders, but again, we have been fully pleased with every aspect of this company and look forward to ordering our new Mirage Light Bar system.